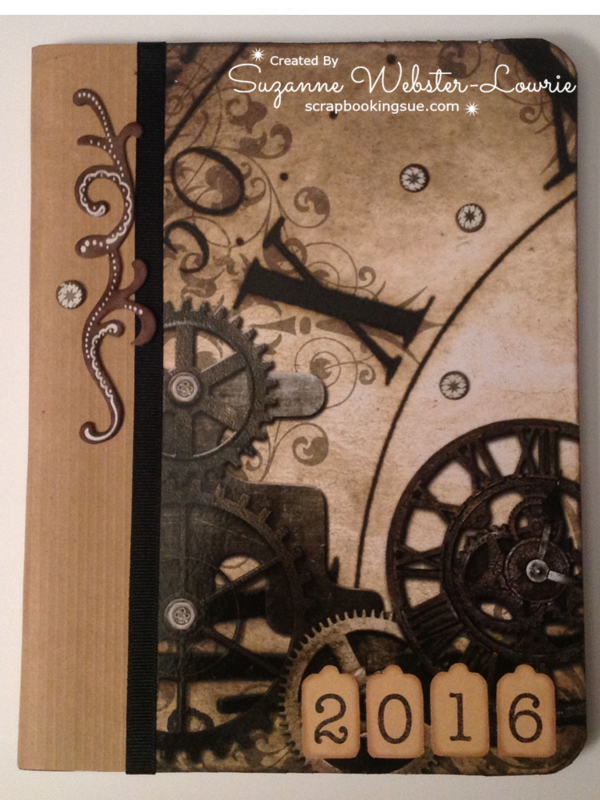 I have been busy making dozens of different styles of Post-It Note Booklets for upcoming holiday craft fairs. 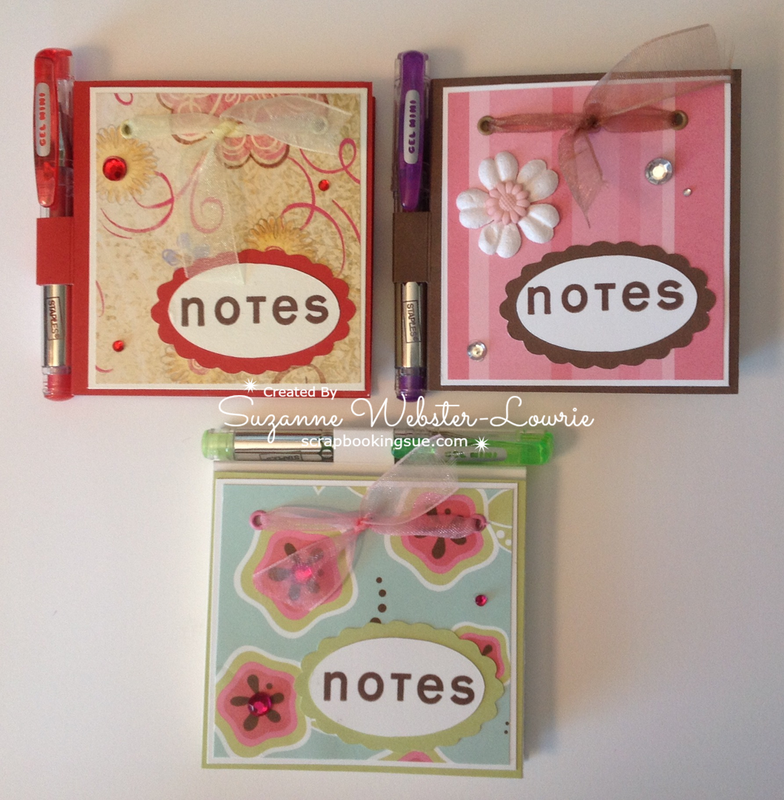 I have 3 styles of booklets to show you today. 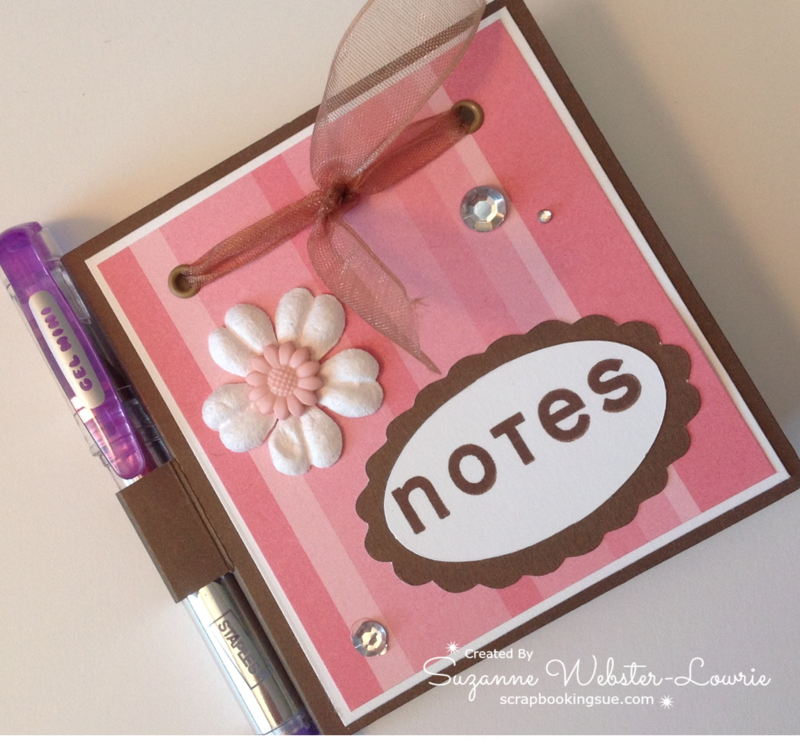 These small booklets are easy to put together with scrap pieces of cardstock, simple embellishments, a post-it note pad, and a mini gel pen. 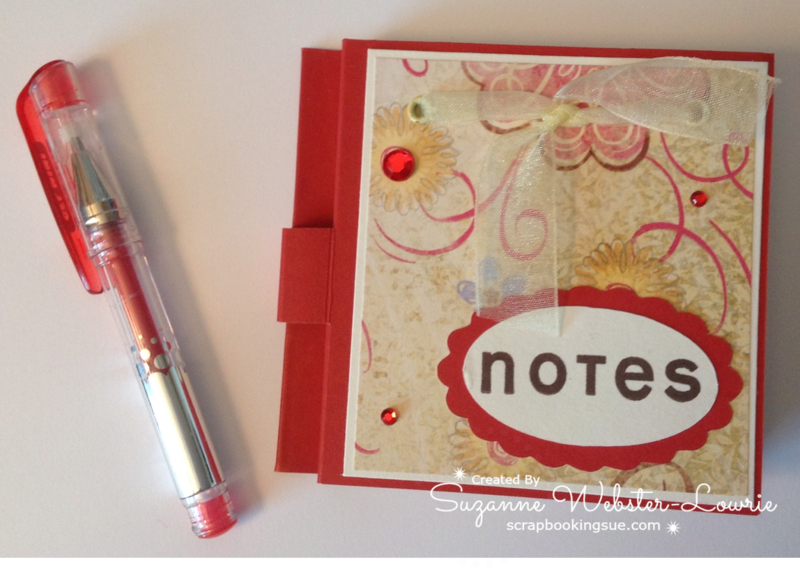 Small “holders” for the pen were built into the design. 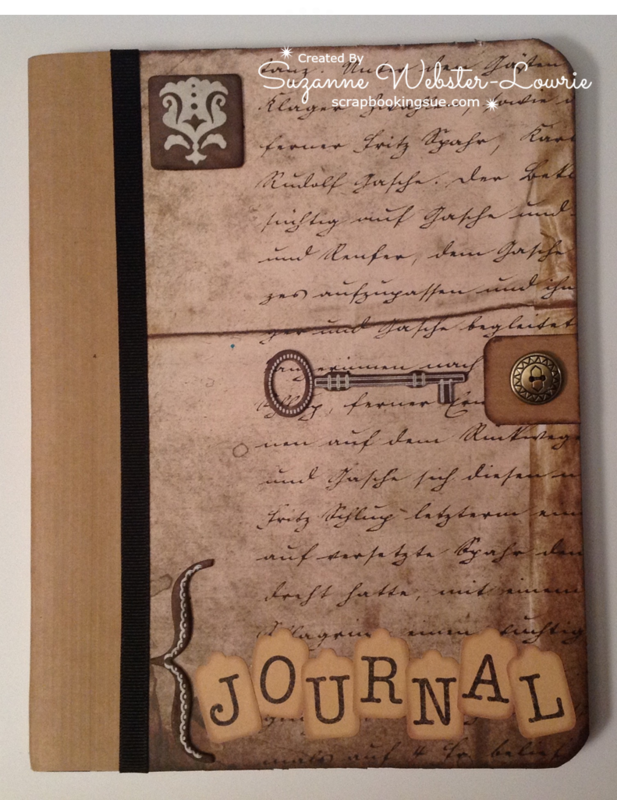 I used patterned paper on the front and back of these books, which allowed the pattern to stand out and eliminated the need for heavy embellishing. 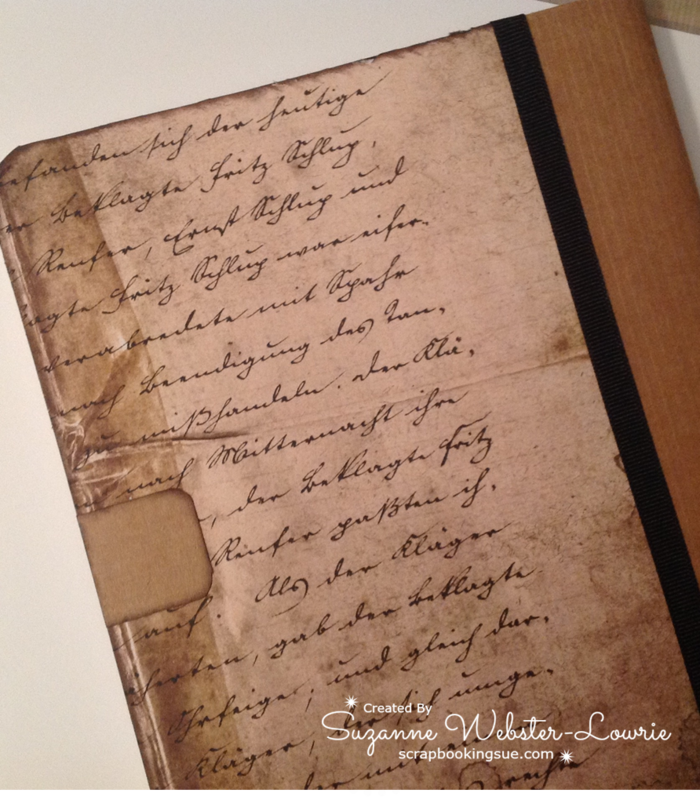 This is a picture of the inside… you can see a small piece of ribbon, threaded through eyelets, and the post-it pad. Here is the pen out of its holder. 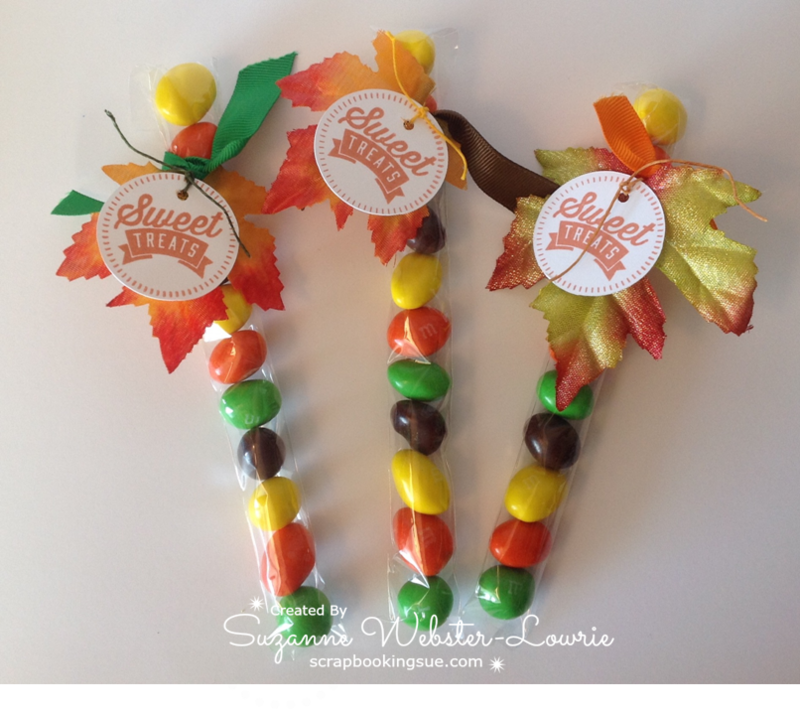 This 2-pieces gift would make a cute stocking stuffer, teacher gift, etc. 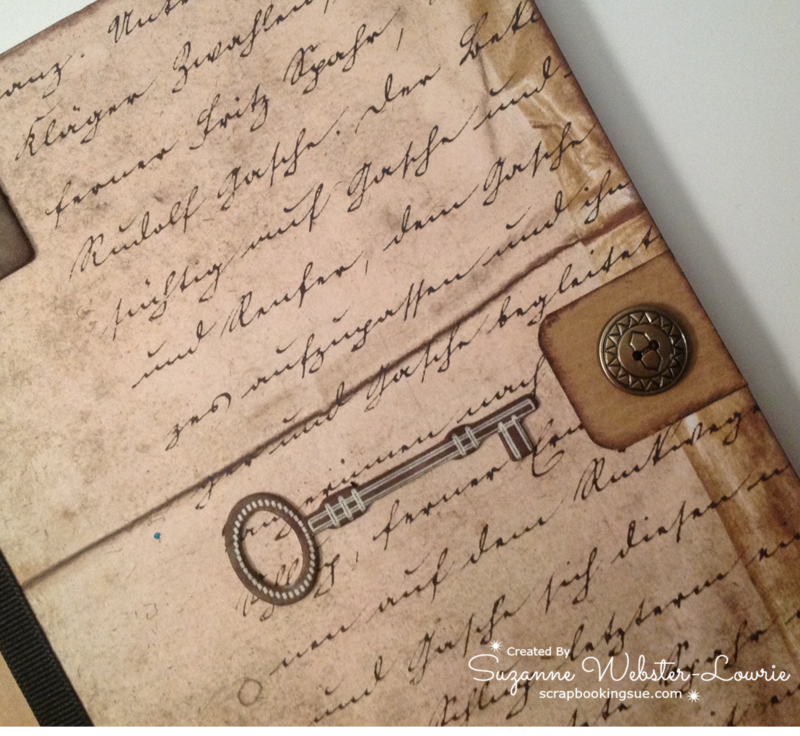 If you have been following my blog, you’ll know that it’s craft fair season and that I’ve been posting various projects destined for the fairs. 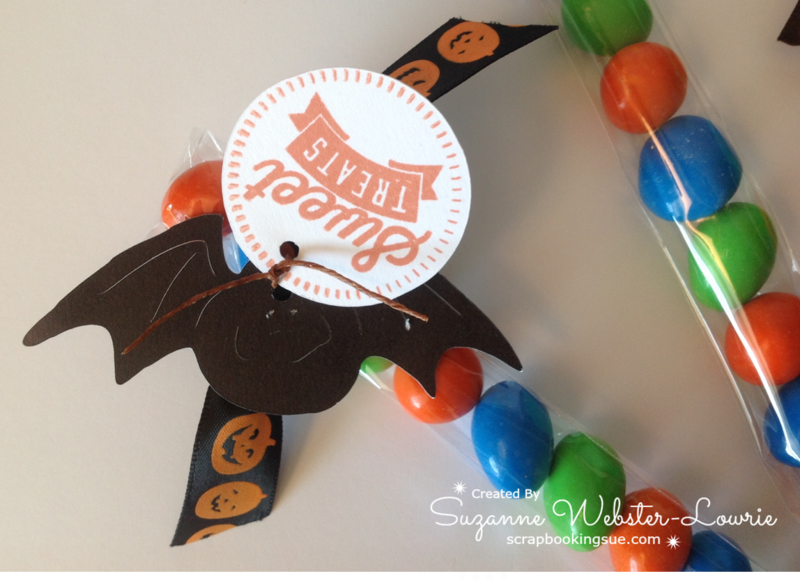 Today I have some deja vu projects… you have seen me post similar projects with a Halloween theme, but this time, we are on to Fall / Thanksgiving! 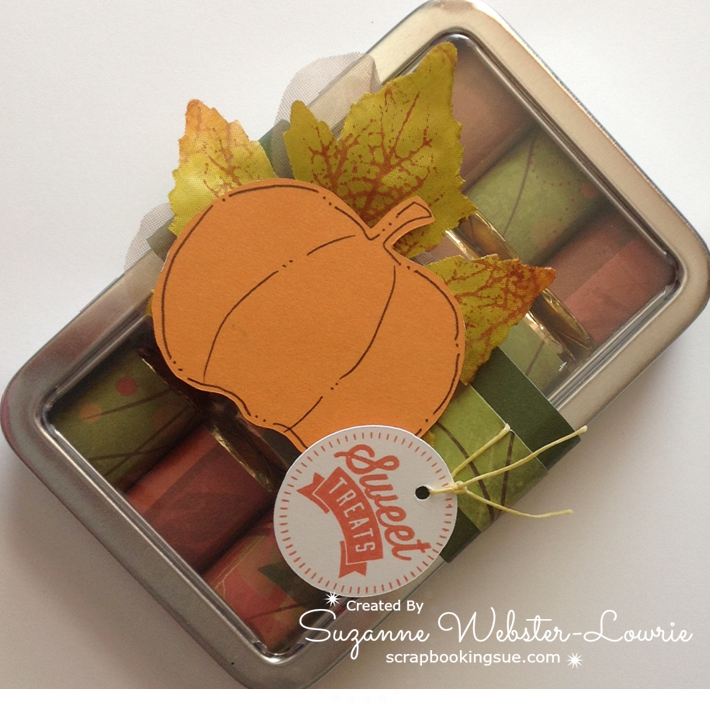 These Hershey Nugget tins are so fun to make and customize for any season. 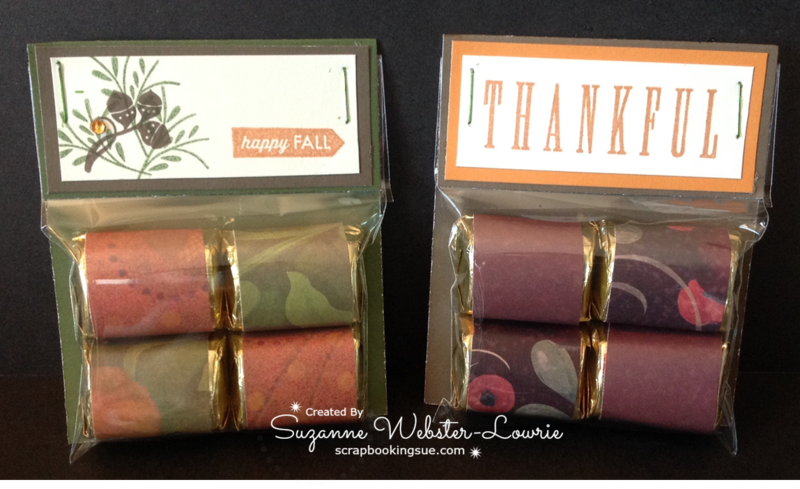 Each tin holds 12 nuggets, decorated with fall-themed patterned papers. 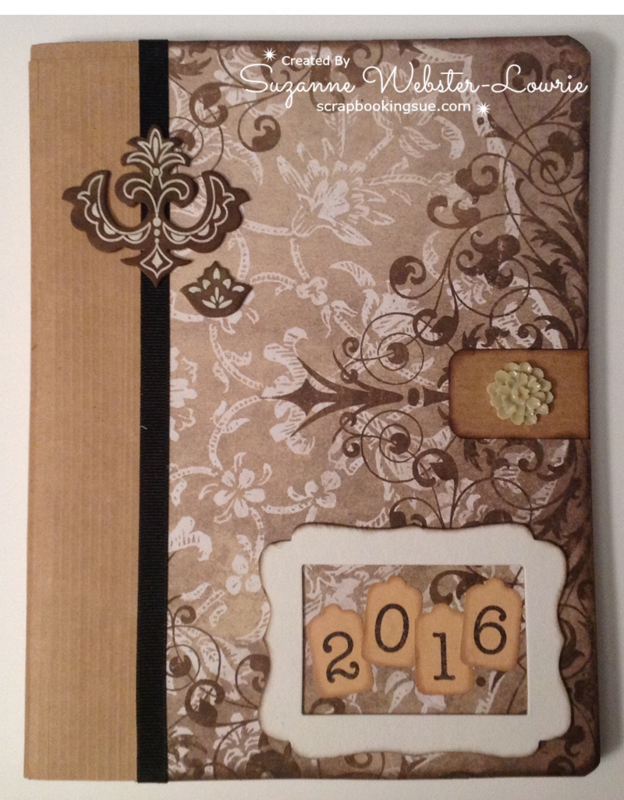 Since I like to use up my retired CTMH stock for craft fairs, almost all of the papers and supplies are retired. 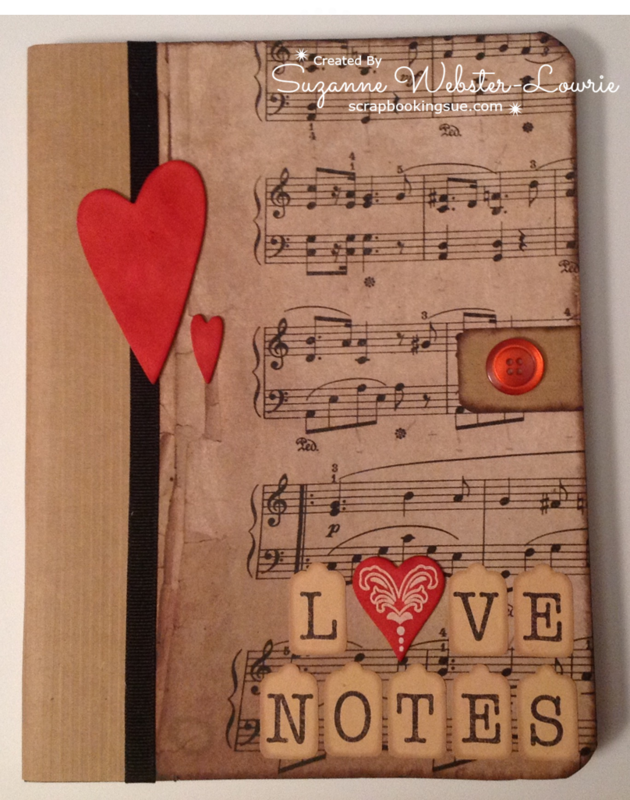 However, this adorable stamp set, called Sweet Salutations, is current from CTMH. 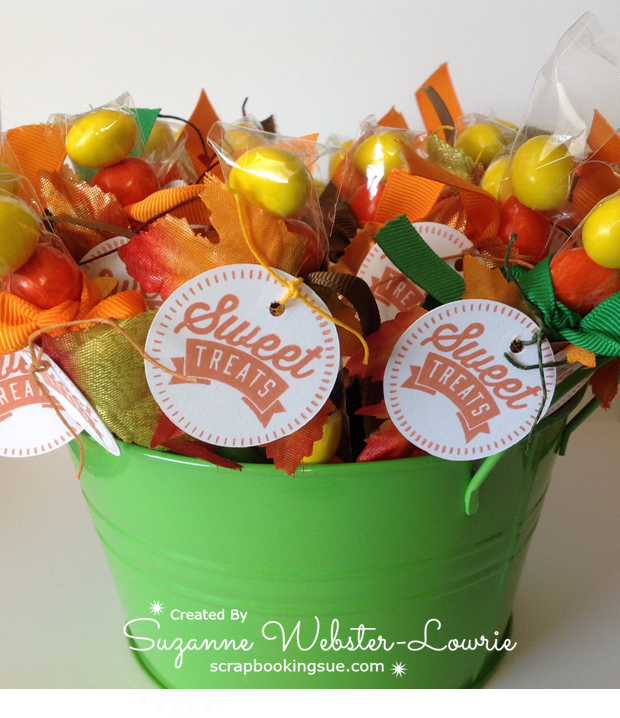 These treat bags hold 11 peanut M&M candies, and are topped with fall leaves and ribbons. I have a few ready to go! Here is the smaller version of the Hershey Nugget treats. 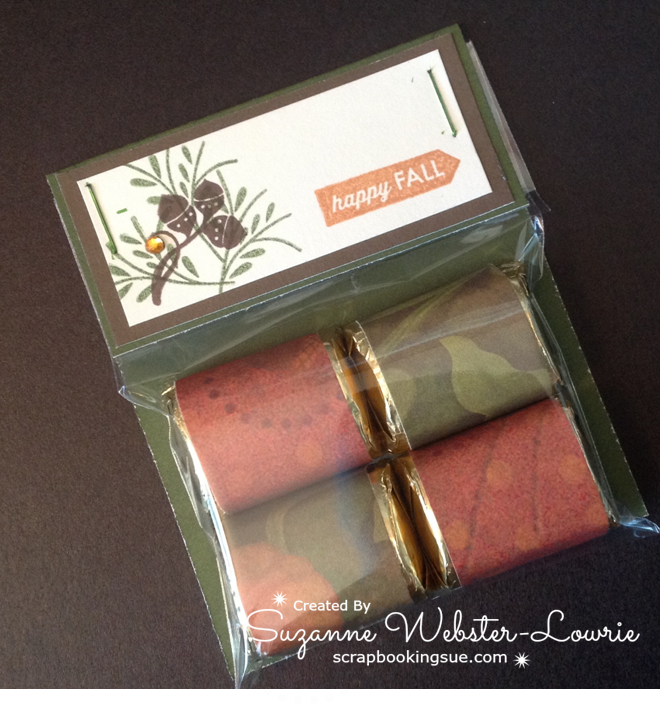 These packets hold only 4 nuggets in a fall-themed package. 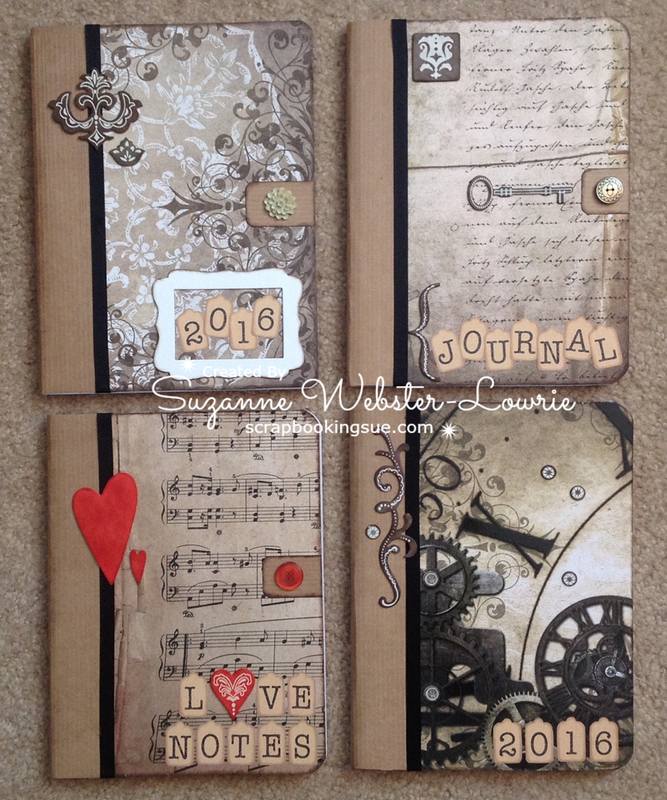 A little bit of stamping on the header cards, completes the theme! 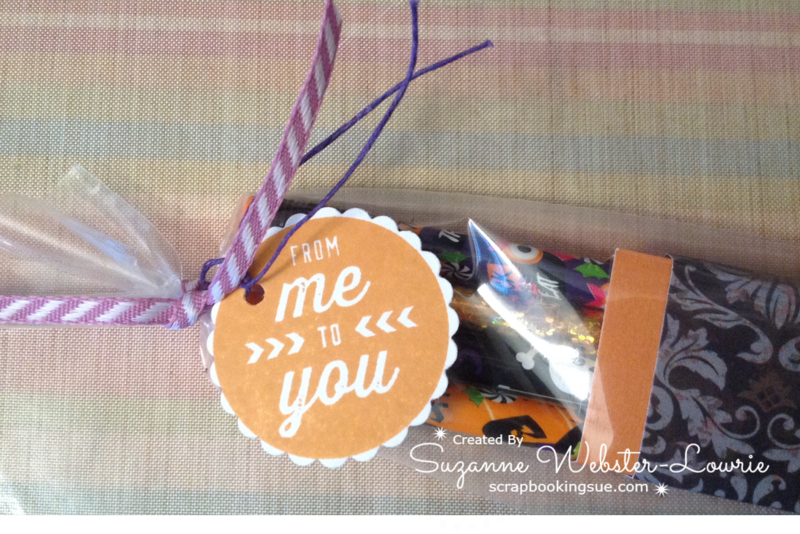 Just a few more days until Halloween, and I have a couple of ideas for teacher gifts, classroom gifts, or small items to put in those candy bags when the kids come a knocking! These are a few more items for my craft fair. 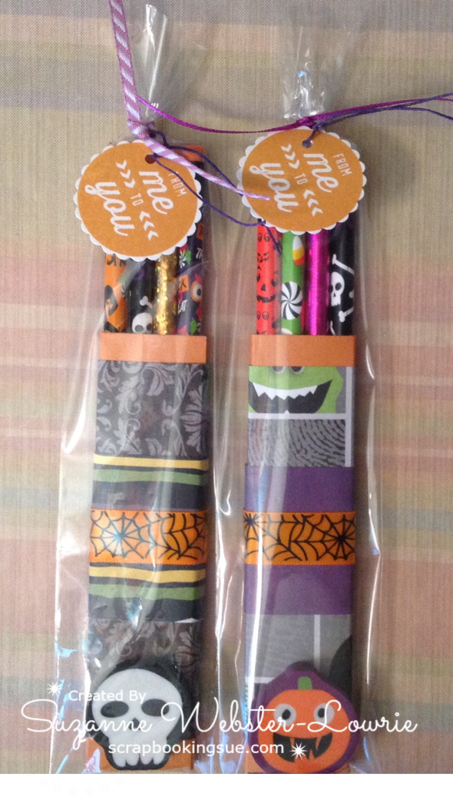 The first is a Halloween pencil case. I found the template to make these cases here. 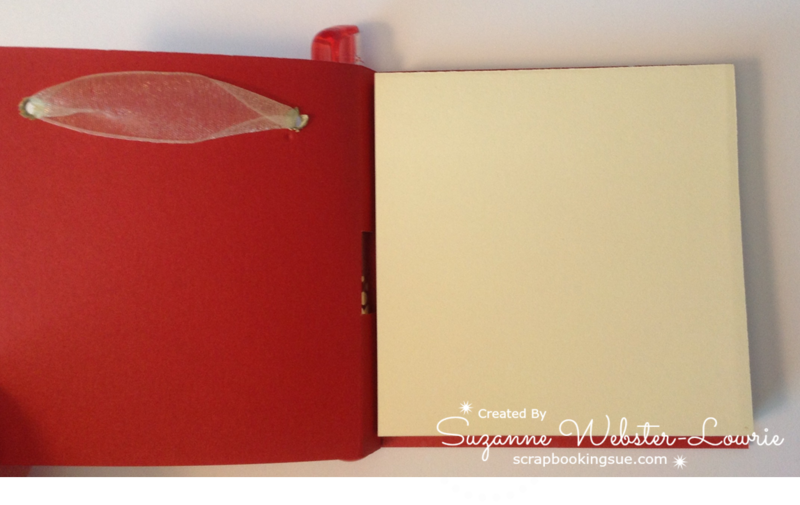 The instructions are simple, allowing you to make 4 boxes from one sheet of 12″ x 12″ paper, and they are so accurate, that 4 pencils fit snugly inside! 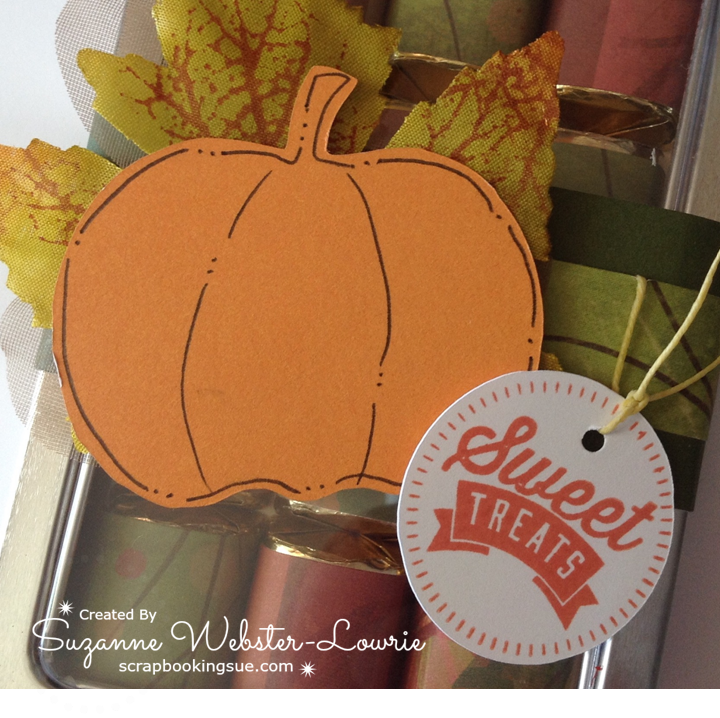 I created all of my pencil boxes with Goldrush Cardstock and pieces of patterned retired Halloween papers. 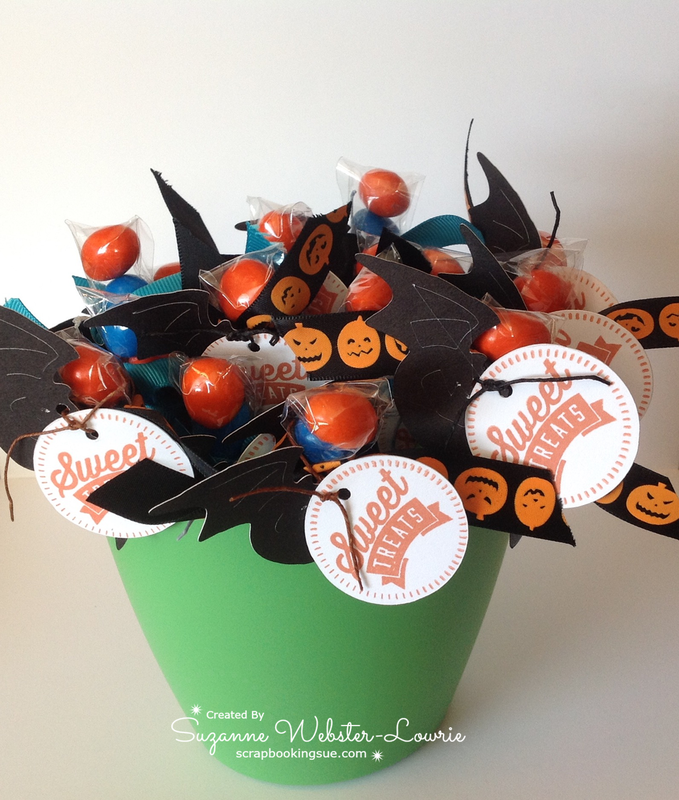 I used a Dollar Store ribbon with a spider web design and adhered it around the boxes. 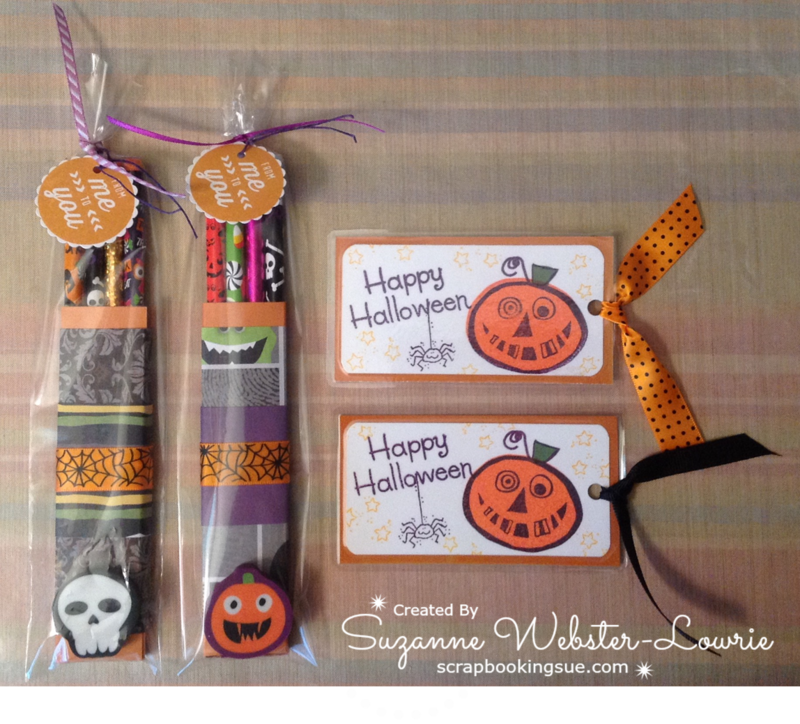 Each box was filled with 4 Halloween-themed pencils, and then 1 eraser was added to the bottom of each package. 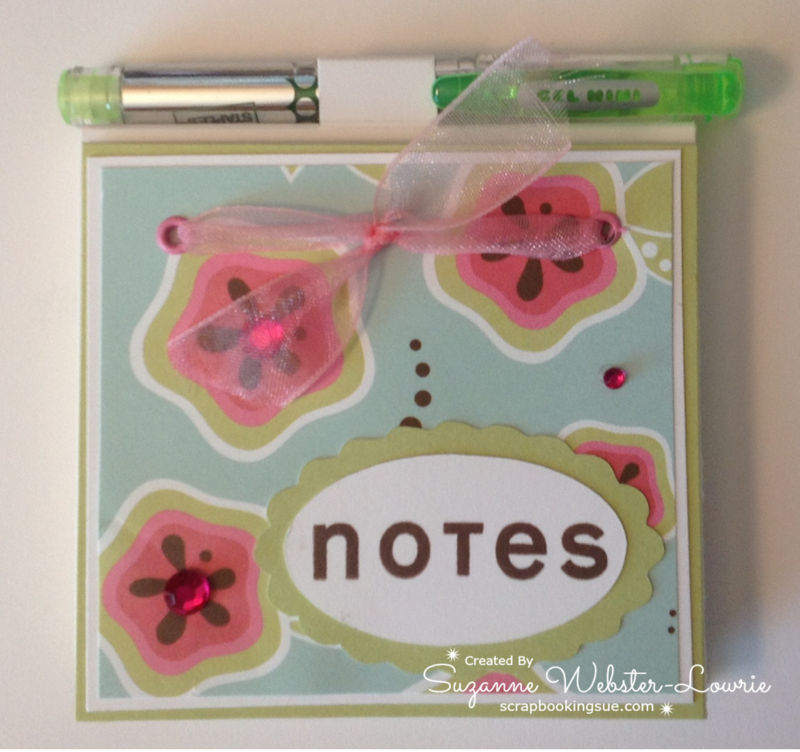 I tied Thistle ribbon around the top, and then added a tag tied with Hydrangea waxy flax (both retired… I told you that I use up my older supplies for craft fair items!). 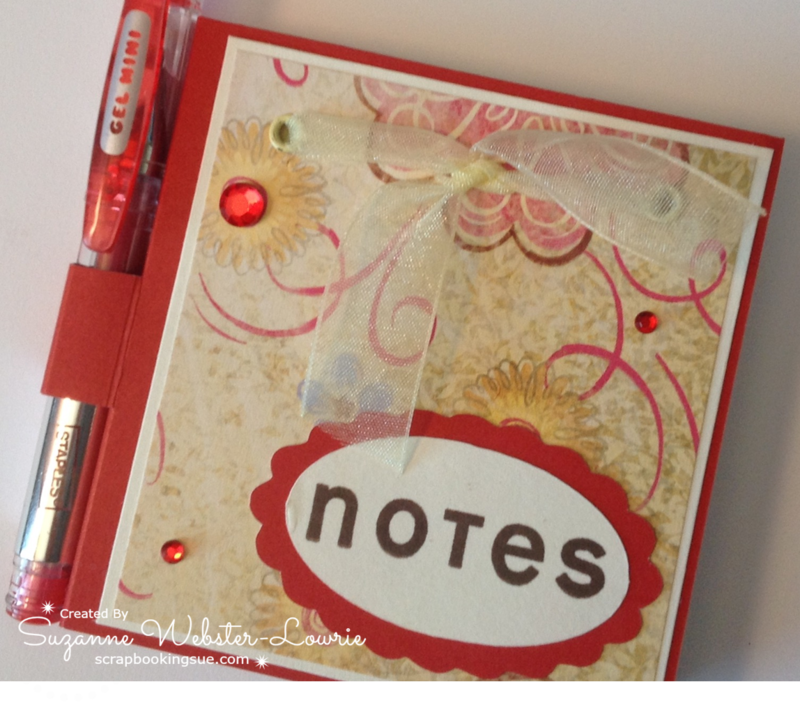 The tag sentiment was from the Sweet Salutations stamp set, stamped in Goldrush ink, and punched out with a 1.5″ scallop punch. 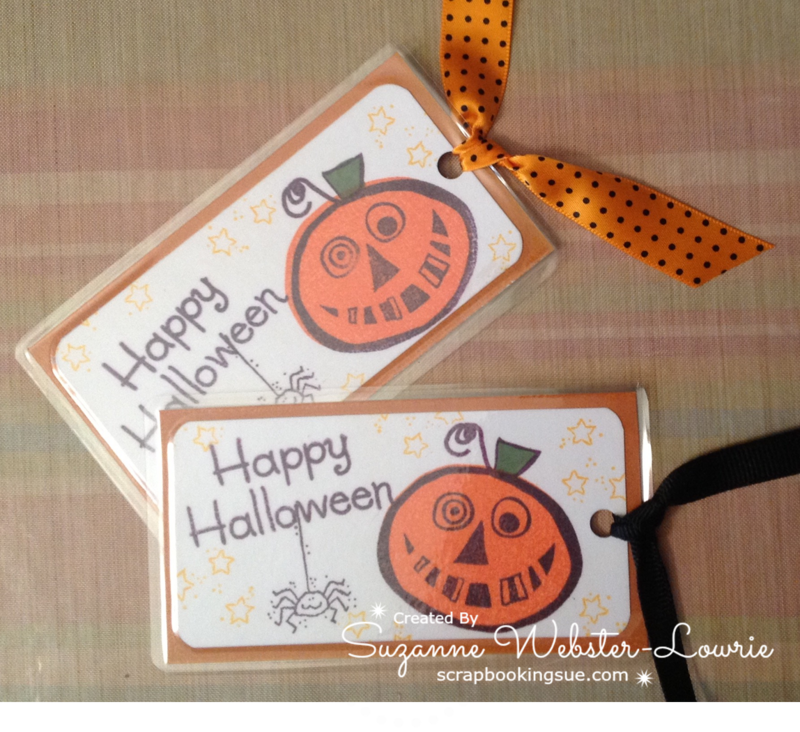 These quick and easy bookmarks were stamped from retired stamp sets onto White Daisy cardstock, and mounted onto Goldrush cardstock. 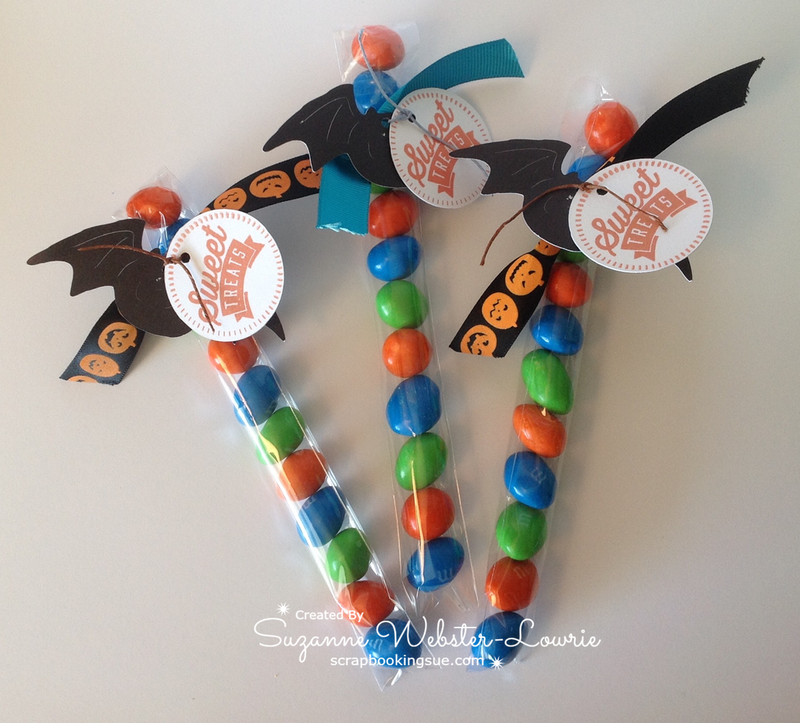 They were laminated, hole-punched, and then had a matching ribbon tied through the tops. 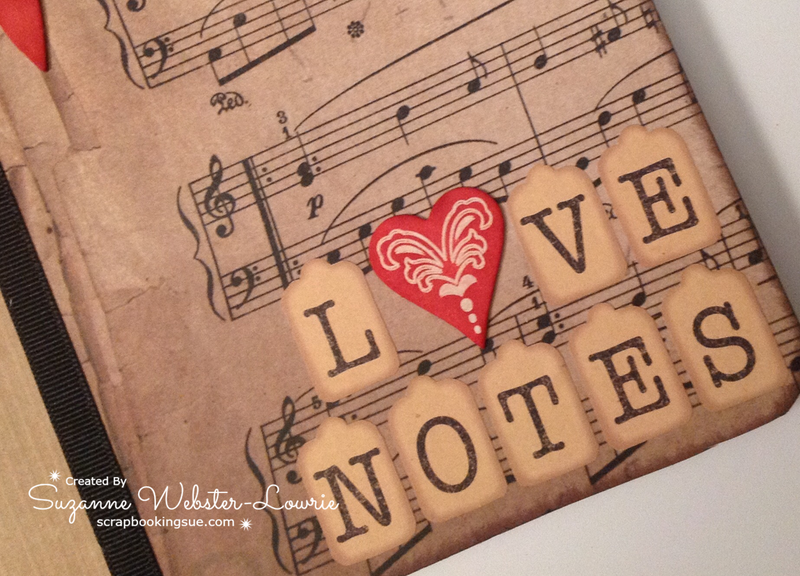 I will be linking these projects to the Heart 2 Heart Challenges: Boo! challenge.